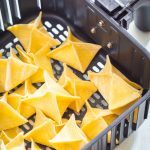 This Air Fryer Crispy Crab Rangoon recipe makes me feel like I have died and gone to heaven. 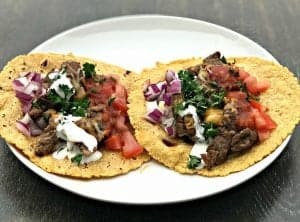 My mouth is salivating as I write up this post! If I told you that you could enjoy 3 pieces of crab rangoon for less than 100 calories total, would you believe me? Well, pull up a chair. 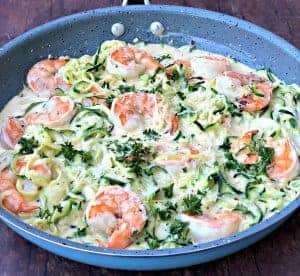 This recipe does just that! Thank you so much, Air Fryer. If you know me well then you know I am very fond of traditional Asian cuisine. I often frequent a local Vietnamese restaurant a couple of blocks from my house. Yes, I know crab rangoon is NOT an authentic Asian appetizer, but that will not stop me from enjoying it! I make my rounds and enjoy authentic Asian meals a lot. So, I deserve to indulge in this un-authentic treat from time to time! I have become obsessed with my Air Fryer! Growing up, my family ate fried food a lot. My mom fried chicken, pork chops, fish, and other dishes quite a bit. These meals were certainly tasty but obviously are not good for our overall health. Times have changed so much! We now have a device that can fry food without using all of that grease. That is simply astonishing. As such, you will probably find me in the kitchen every single weekend experimenting with the Air Fryer. I feel like I owe it to my childhood! A lot of restaurants that serve crab rangoon use imitation crab meat. If you prefer imitation crab meat, substitute that for the lump crab used in this recipe. There is a difference in taste. If you are looking to replicate your favorite, that may be the best option for you. I used the sweet and sour dipping sauce from Frank’s Red Hot. You can purchase it here. If you are looking for wonton wrappers you can find them here. 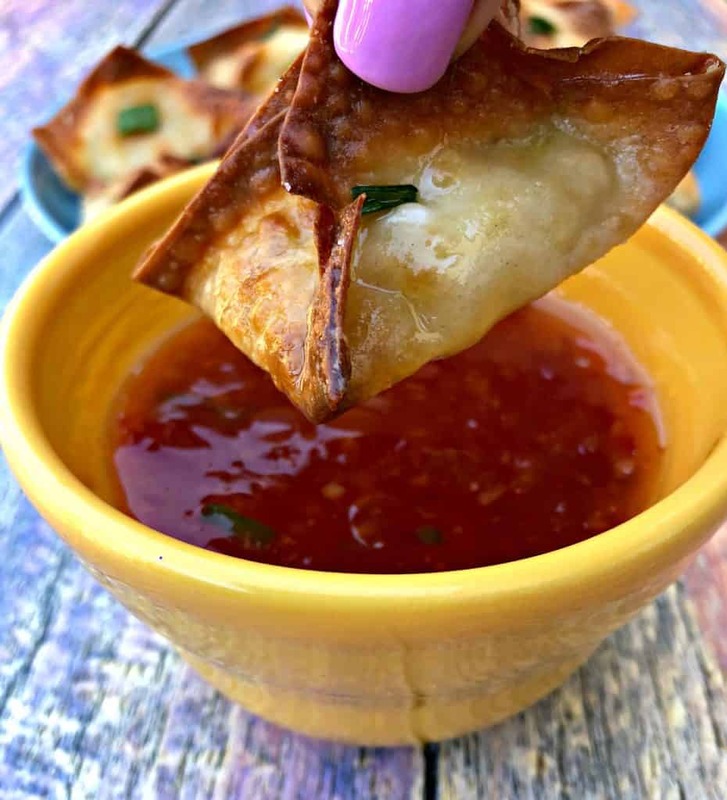 Air Fryer Crispy Crab Rangoon is a quick and easy healthy air-fried recipe using wonton wrappers, reduced-fat cream cheese, and jumbo lump crab meat. This crab rangoon is crunchy and filled with flavor. If your cream cheese is hard, heat it in the microwave for 20 seconds to soften. Combine the cream cheese, green onions, crab meat, Worcestershire sauce, salt, pepper, and garlic in small bowl. Stir to mix well. Lay out the wonton wrappers on a working surface. I used a large, bamboo cutting board. Moisten each of the wrappers with water. I use a cooking brush, and brush it along all of the edges. Load about a teaspoon and a half of filling onto each wrapper. Be careful not to overfill. Fold each wrapper diagonally across to form a triangle. From there bring up the two opposite corners toward each other. Don't close the wrapper yet. Bring up the other two opposite sides, pushing out any air. Squeeze each of the edges together. Be sure to check out the recipe video above for illustration. Load the crab rangoon into the Air Fryer. Spray with oil. I prefer to use olive oil. Coconut oil works well, too. Place the Air Fryer on 375 degrees. Cook for 10 minutes. If you piled the crab rangoon on top of each other, swap the rangoon that are on the bottom for the ones at the top. This will allow each to cook evenly. I have made this recipe and have stacked in all of the crab rangoon and I have made it in two batches. I believe making it in batches works best. If you stack them, you may have a few that are really soft to touch and break apart when you go to flip them over. Return the batch to the Air Fryer. Cook for an additional 5-8 minutes until they have reached your desired level of golden brown and crisp. Remove the crab rangoon from the Air Fryer. If you wish, you can coat each with oil (olive, coconut, etc). Serve with your desired dipping sauce. I used Franks Red Hot Sweet Chili. Your cook time may vary depending on the Air Fryer brand that you use. I recommend a temperature of at least 370 degrees. You should cook the crab rangoon until they have reached your desired level of crunchiness. Check in on them while they air fry to be sure the crab rangoon does not overcook. If crab ragoons are on the menu, then I order them! Love them and these sound delicious! And, I really need an air fryer! 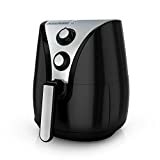 wow, I haven’t had any desire for an air fryer (I have wayy too many appliances!) until I saw these! They look so crispy and delicious and like the perfect crab rangoon! Can you make a ton of these and freeze some to putt out for a later snack? I have not done any freezing. 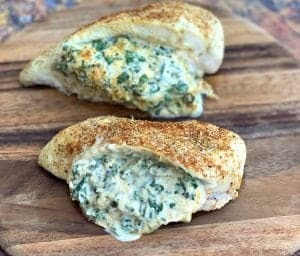 Anytime you reheat items that are air-fried you will need to put them back into the Air Fryer to get them crispy again. Mine exploded out to bottom. The stuffing was all over the rack and bottom of my af. I will try again. Oh no! What Air Fryer brand do you use? What temperature and how long did you cook them? I just got done making them.. Not easy. By the time I got done, it was a lot easier. You’re welcome! I’m glad you enjoyed the recipe. I don’t see the video that is mentioned? Are you on desktop or mobile? I just checked both and it’s there. If you are on desktop the video starts at the very top of the post and as you scroll the video continues to play on the right side of the screen. On mobile, the video is right below the words to check out the video above the recipe card. 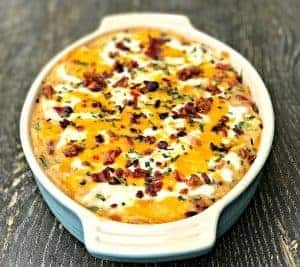 Tasty and good recipe that makes me think of other possibilities. For our tastes, i wish I had added 8 oz of cream cheese (or cut the amt of tasty crab). In my air fryer, preheating was not a good idea as 10 minutes was too much cooking time. Next time we will use more cream cheese (and no preheat). But we are liking your method and trying with cranberry sauce and turkey. Great base recipe! The video didn’t really show the turning over over after 10 minutes, they looked the same with the folds creased on top just like they went in the first time? I turned them. I didn’t show the physical process of me turning them because the video is limited to one minute. I can’t show every single step in detail, it’s typed in the video and listed within the printed instructions. Yes. I would slice up the shrimp first. Could you prep these up ahead of time, or will the wontons get soggy or fall apart? I haven’t tried making them ahead. This is something you will have to test to find out. These are amazing 🥰. I also had a tiny bit of spill out in the brand of wonton wrappers I used next time I will use just a teaspoon of filling, also i found they were done in about 5-7 min rather then 10. Im glad you enjoyed them! Thanks for your feedback!